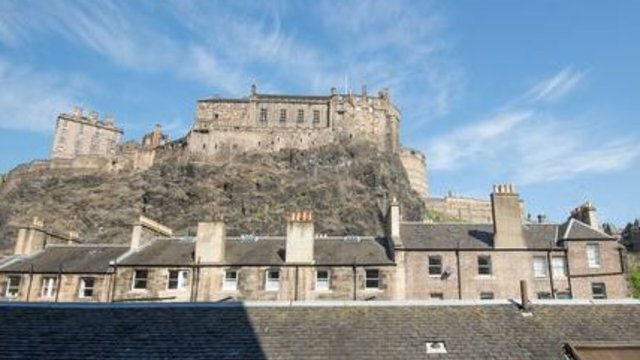 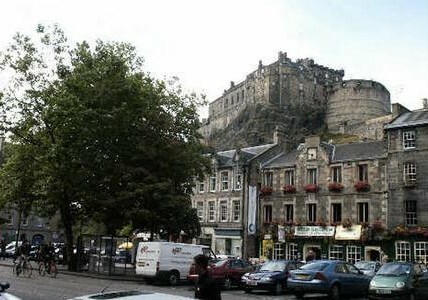 This 1 bedroom apartment is located in the centre of Edinburgh old town - right in the heart of Edinburgh city centre - and boasts stunning views of Edinburgh castle from the kitchen area. 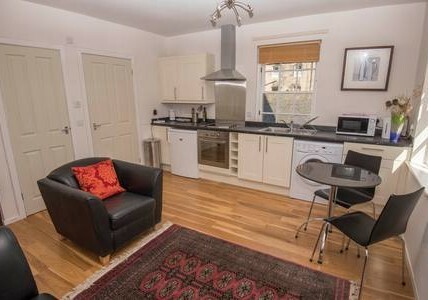 The Living room/ kitchen is a stylish, modern and spacious room with a leather sofa and chair and TV. 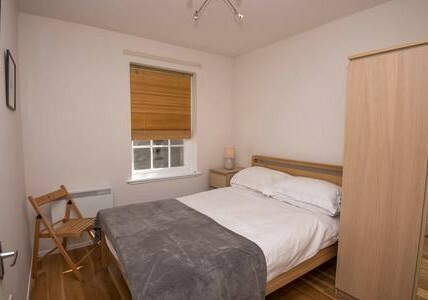 The bedroom has a comfortable double bed. 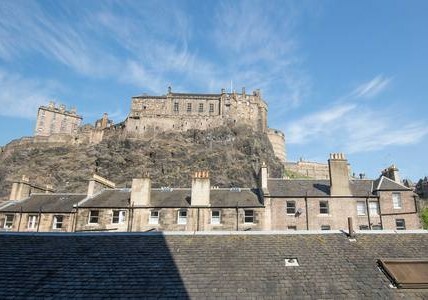 The window view from this room is of the court yard below. 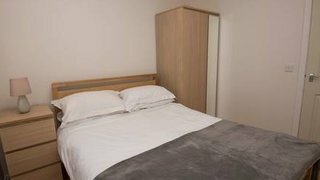 The apartment is warm and comfortable. 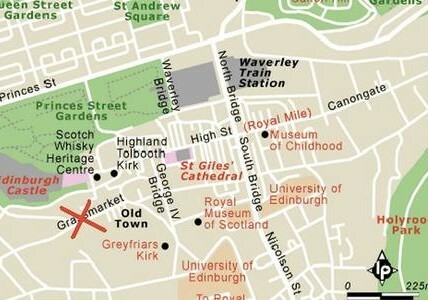 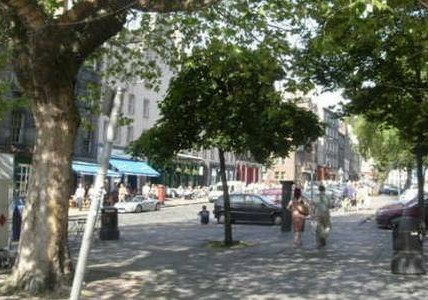 It is located well back from the main street and doesn't suffer from the major city centre noise levels. 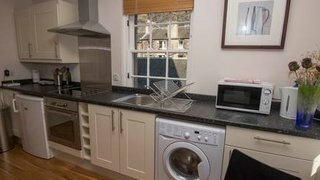 Fitted kitchen is well equipped for those who enjoy cooking, with a wide range of utensils and equipment including a cooker, hob, fridge, washing machine, and microwave. 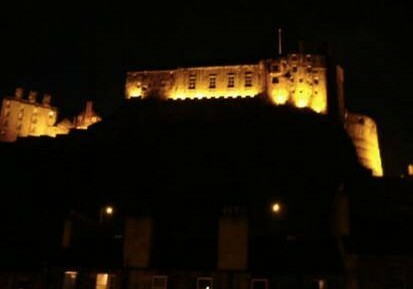 There is lovely granite top table with 2 chairs to sit down with a drink and look at the superb views to the back of Edinburgh Castle. 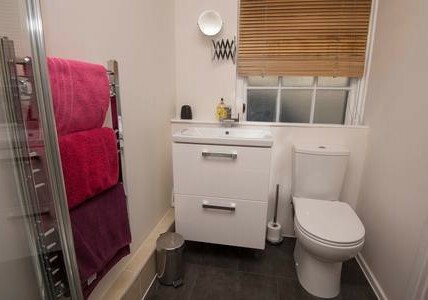 The newly fitted separate Shower room also looks over the Castle. 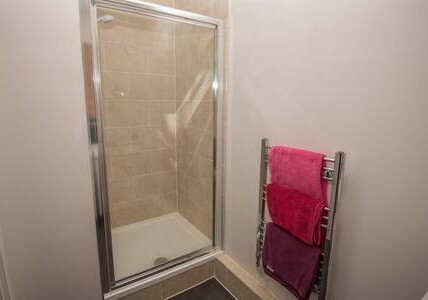 It has a Shower with electric shower and toilet and a wash-hand basin. 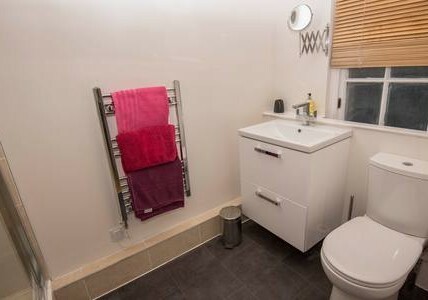 There is ample room for toiletries on shelving. 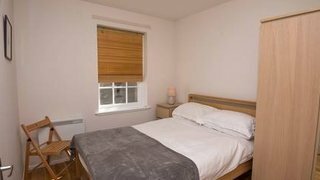 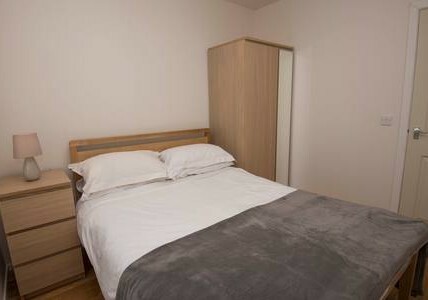 The apartment has one bedroom with a standard double bed. 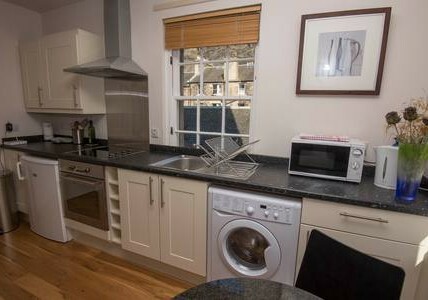 The apartment has an open plan kitchen/living room, bedroom and shower room. 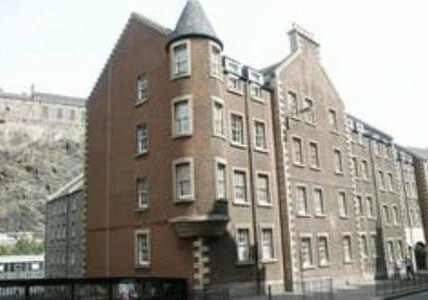 There are a few steps down to the apartment although it is not a basement apartment.